by Rosana López Rodriguez and Eduardo Sartelli. In El Aromo n° 84: “Gane quien gane”. Translated by Nicolas Muñoz. Within the framework of the recent publication of the more complete edition in Spanish (and in other languagues, as Italian, German and French) of Literature and Revolution by Leon Trotsky, we present a fragment of the prologue of the book by Eduardo Sartelli and Rosana López Rodriguez; written as the result of an intensive study of the Trotsky’s writings on literature and art. The recently published book, translated by Alejandro Gonzalez directly from the original in Russian, not only contains the two parts, but also notes and letters never before translated . It is curious that, while other Trotskyists wouldn’t have to abandon their ideas to side with Stalin and led important tasks within the period unfolded with the Cultural Revolution, Voronski was able to return only if he went under self-seclusion, while his old enemies were now holding the top positions. In the history of soviet culture,AleksandrVoronski (1884-1937) playsa part as much relevant as it is rarely known. In contrast to others in charge of the Bolshevik cultural policy, Voronski is practically ignored even by specialists. 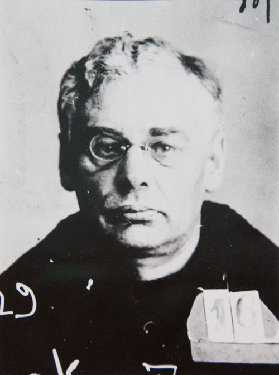 An Old Bolshevik, active in the 1905 revolution, imprisoned and exiled; he occupied leading positions in the October Revolution in Odessa, Ivanovo and Moscow. In Ivanovo, he handled the editing of the newspaperRabochiiKrai, for which he wrote nearly 400 articles between 1918 and 1920. His work drew the attention of Lenin, who took him to Moscow and placed him in charge of Krasnaia Nov (Red Virgin Soil) in 1921.Killed in 1937, he was rehabilitated twenty years later. “Voronski shared Trotsky’s thesis that there was no proletarian art in Russia and that its emergence would be impossible until proper material and cultural conditions would be created. The task of the moment was to absorb the literature of the past. Also, Voronski questioned the role of ideology in art, and gave great importance to impressions, intuitions and unconscious feelings as elements of the creative process”. It doesn’t matter how that paragraph was “produced”, what matters is that what Babel’s “testimony” seems to say is in line with what Trotsky really thought. Even when Babel recalled that Voronski had as a central esthetic principle, the idea of “remaining truthful to oneself, one’s style and themes”, we hear Trotsky’s echoes. Babel also recalls the uneasiness of the group involved in Krasnaiawhen Voronski went down, and the consequences that ensued it (Voronski was a victim of the attack against Bujarin, in the beginning of the “cultural revolution” and Stalin’s leftist turn). In charge of Krasnaianov, the publication that would organize the relation of the Party with the famous “fellow travelers”, Voronski is one of the central characters in soviet cultural life under the NEP. He also has a publishing house (Krug) to serve his policy, and a group of intellectuals (Pereval) with which he is building a full trendwithin Russian literature.He does more than publish his fellow travelers, he acts as a general guardian of the group. For example, in the early 1920s he intercedes in favor of Zamiatin, whose novel “We” had caused a big scandal. More than about his labor as a literary critic, Voronski would be harshly criticized for the protection he gave to his most obstinate fellow travelers, like the example we mentioned (Zamiatin is one of the main targets of the proletarian writers, along with Pilniak, Bulgakov and others; he managed to leave the country, when the cultural revolution sets off, thanks to the help of Gorki). That’s why all his “fellow travelers” considered Voronski as a kind of sheltering umbrella, whose fall was taken as a catastrophe. As we said, besides being the editor and protector of artists distant of the revolution within the revolution, Voronski gathers around him a group of writers (the “perevaltsi”) that has to operate as a positive example of the policy that the Party pretends to stand for, or at least of the line that sustains him in his position. That’s how the group Pereval arises; organized in 1923 and dissolved by a decree of the Party’s Central Committee in 1932. All the “perevaltsi” considered themselves Marxists (although labeled as “liberals” by their opponents). Among them were writers like Vasili Grossman, Nikolai Zarudin, Yekaterina Strogovaya, Iván Kataev y Boris Guber. Except Grossman, all of them would be part of the purges of 1937. The group has been described as “Very critical of other literary stances, it advocated the artist’s free intuition; a direct art, more interested in esthetic joy than propaganda; the right to describe the contradictions inthe world and to expand the limits of freedom, fleeting from any ideological constraints.Voronski asked his writers to keep the attentive look of a child, to be marveled by reality and, above all, to understand the human condition, the concrete man with virtues and defects, as he is, without propaganda motives or ideological filters”. After that, Voronski is readmitted in the Party, he returns to Moscow in 1930 and spends the next four years editing the classics of literature. Finally, as we said, he’s a victim of the stalinist repression in 1937. According to some specialists, esthetically speaking, Voronskican hardly be considered a marxist, because of his theory of art, which emphasizes “intuition” and considers art as a revelation of truth, is more related with Kantian aesthetics, Freud, Jung or Bergson, than to Marx. Besides, Voronski insists in the importance of subconscious elements. However, Edward Brown, the author we are following here, accepts that Voronski can be seen as a non-dogmatic marxist that advances through territory uncharted even by Marx. Authors like Hugh McLean, on the contrary, attribute Voronski a materialist esthetic, which affirms the independent existence of the outside world and the human capacity to know it through the senses. Jointly, the concept of truth, even in art, acquires a fundamental relevance. Thus, art becomes a way of knowing reality. Art is concrete, it expresses through images and relies particularly on intuition, which distinguishes it from science. Good art depends on knowledge of reality and technical skill: the truthful idea expressed in the proper form. Given that artists express and live within class interests, their access to truth is conditioned by the evolution of that class. When that class becomes progressive, against a surpassed reality and expressing the interests of society at large, an artist can express general human interests. Therefore, art can’t be considered as propaganda but basically as knowledge. That’s why it’s necessary to assimilate the art from the past and to have specialists on the subject (in this case, the fellow travelers). On that point, McLean doesn’t seem to notice the contradiction Voronski falls into by defending those who come from a fading class, the bourgeoisie, when it comes to knowing the world artistically. In fact, the fellow travelers don’t precisely represent the most lucid moment of their class and are not easy to defend politically. Reactionaries like Zamiatin, for example, that have the ideology of bourgeois-aristocratic individualism, don’t seem to be models of what proletarian writers would need to assimilate. Voronski’s purpose of defending them as producers of “objective” truths is unsustainable, as his critics from Na postú won’t miss to notice. Furthermore, on a recent text, David-Westsummarizes Voronski’s esthetic as a conjunction of philosophical influences: Plejanovfor his marxism; Bielinskifor Hegel, and Chernishevski for Feuerbach. From the first he takes sociology of literature, from the second, dialectical analysis, and materialismfrom the third one. A fourth influence, not openly recognized, is Sigmund Freud, from whom he takes concepts like unconscious orsubconsciousand their corresponding dynamic. These ideas are the basis of his conception of the artistic production as a result of intuition, “our active unconscious”. One of the problems in the analysis of Voronski’s esthetic is simplifying its battlefield, limiting it to an alleged permanent battle against censorship. Actually, his confrontations were numerous, to the extent where his detractors are many and express a variety of problems. To begin with, criticism of the proletarian writers is done in different ways, depending on the group that does it. But also, Voronski deals with expressions of his fellow travelers, which are varied as well. Firstly, Voronski disputes with Na postú about literary policy (whether to sustain fellow travelers or not), whereas with Kuznitza (The Forge, another group of proletarian writers), he confronts about esthetics. Let us remember that the latter group, originally derived from bogdanovism, is opposed to Na postú, despite the fact that they both belong to the proletarian field, for esthetic and political issues: on the one hand, they don’t accept the -as they see it-, primitive and merely propaganda esthetic of Averbaj’s followers, and they reject their hegemonic ambitions on the other. Regarding fellow travelers, Voronski has as a model, the members of his own group, Pereval. Clearly the artistic vanguard, LEF in particular, is his major opponent, esthetically speaking, while others that in that respect are fairly close arepoliticallyuntenable (like AlekséiTolstóinor Zamiatin) or too ambiguous (like Pilniak). Undoubtedly, Voronski’s path is not the safest or the easiest one, what perhaps is reflected in the name of his group: “Pereval” that could also be translated as “defile”. His esthetic seems prepared to deal with that scenario. We’ve mentioned its general characteristics. Nowlet’s examine it in relation to the disputes in which Voronski intervened. Let us remember that his interventions begin when the destruction of the Proletkult, that is, the bogdanovian line, had already happened. The main battle would be against the survivors of the Proletkult, namely, militant bolsheviks that regroup in Na postú. The leading troika, Vardin, Rodov and Lelevich, would be defeated in the first combat, the one that culminates with the resolution of 1925. The exchange begins with the first issue of Na postú. Unlike later commentators, Voronski concedes in his answer that the magazine’s extreme sectarianism expresses the mood of some of the fellow travelers, not just of a little group without any relevance: “Very serious literary differences exist in our own communist field”. In his criticism of Na postú, but also of LEF and Kustnitza, Voronski puts forward his theory of art as “knowledge of life”.He criticizes their subjectivist idealism implied in proposing the possibility of acting unknowingly. Similar criticism faced, in those years, Georg Lukacs’ History and class consciousness: childish leftism. Art doesn’t serve well for propaganda, therefore, when it’s forced to do that, the outcome is ideology. Moreover, the proletarian production is very limited even for that function; and, in terms of quality, the situation is even worse, which is why loosing connection with bourgeois intellectuality is a cultural setback and wastes the opportunity of assimilating the best of bourgeois technique. Besides, as a fundamental instrument to know about life, despite being a result of class interests, art can still offer useful knowledge. Finally, rejecting the fellow travelers, that is, the bourgeois intellectuals that accept the revolution and the Bolshevik government, would mean giving them up to the anti-Soviet bourgeoisie and also isolating the Russian proletariat in its battle against countless internal and external enemies. Those five arguments apply to Na postú, but can hardly be applied to Kustnitza or LEF. The writers of Kusnitza dispute with their rivals in the proletarian field precisely over esthetic issues (it can’t be said that Kirillov, Gastev or Guerasimov were vulgar poets), and they reject the hegemonic ambitions of the “octubrists”. LEF, for its part, is a center of production of the vanguard that can compete with the best of Europe in terms of esthetic conception, as well as to maintain a frontal battle against Na postú, accusing it of reproducing bourgeois esthetic ideologies. The evaluation of the intellectual past is dissimilar among those criticized. All of them are united, nevertheless, in the rejection of the political necessity of reconciling with bourgeois intellectuality. Voronski’s replies are diverse, but they focus on two main points: that art is not (or not only) a means of knowledge; and that fellow travelers don’t have much to teach regarding the knowledge of life. About the first point, Voronski is questioned for having a passive conception of the artistic fact: art is knowledge but not action. In times like the 1920’s in Russia, that slogan is not very attractive for artists committed to the struggle. Voronski rejects that criticism asserting that knowledge is action and that it’s also a prerequisite for action. Therefore he accuses his criticsof irrationalism. But his argument is weak for two reasons, first, it’s true that knowledge is a form of praxis, but it is so for another praxis; politics. Voronski doesn’t accept the idea that art can have a performative value, that is to say, as a pamphlet, a slogan, an instigation.Hence his opposition to Kustnitza and Futurism. In other words, Voronski wipes out, in the name of nineteenth century’s art, all the art of the twentieth century, from German expressionism to happenings, including Brecht and surrealism. Effectively, with an esthetic strictly limited to social analysis, Voronski reduces literature to a sociology of everyday life, and writers to some sort of assistant researchers of soviet power. Obviously, science fiction, utopia, classical noir stories and other literary expressions are not part of the “voronskian” literary field, which people like Zamiatininconsistently values. This explains his defense of a kind of realism that doesn’t clearly distinguish itself from the subsequent socialist realism, as far as its demand that artists study life as it is presented to them on a daily basis, isn’t far from the “industrial novel”, paradoxically exemplified by a member of Kustnitza, Gladkov and his Cement. Maybe the model of “voronskian” literature would be a novel like The embezzlers, by the “perevaltsi” Valentín Kataiev, a satire in the style of Gogol about the bureaucratic corruption under the NEP.The esthetic coincidence with Trotsky is absolute, and that is no minor element in this regard. The second point is also questionable. It could be accepted that assimilating the culture of the past is a necessity and that the proletarian writer has much to learn from Pushkin or Gogol, but it’s difficult to believe in the necessity of someone like Zamiatin (whose bourgeois individualism is summed up in We) or like Pilniak, who according to Trotsky, doesn’t understand the nature of the Russian revolution (and that defines himself as a “spiritual” member of “Change of Direction”, a bourgeois nationalist group). One only needs to read Voronski’s analysis of Pilniak (which is almost identical to Trotsky’s, to the point in which you can’t tell who’s copying who) to see how weak is the line of defense of the Serapión Brothers, A. Tolstoi and others of the like. It’s the same incoherence in which Trotsky falls when he destroys fellow travelers in Literature and revolutionand then pretends that their critics believe in the need to defend them for their value as “connoisseurs”. As we said, and even a lesser critic as Averbaj noticed, the fellow travelers didn’t precisely represent the bourgeoisie in its rising moment. A related point is the one about “skill”: they might not be producers of social knowledge, but they are of an artistic technic. However, it seems difficult that people like Tolstoi would have much to teach to someone like Maiakovski, to whom other “fellows” owed a lot, Esenin for example, and that, as Trotsky recognizes, had a great influence over the proletarian writers. It could even be said that, having Gorki as an undisputed master, there was no need for the Babels or the Pilniaks. In fact, Gorki would end up representing precisely that roll even for the “fellow travelers”. Moreover, this last example is not so attractive to those who don’t want to fall in a nineteenth-century realism sweeten with a bit of revolutionary romanticism. Finally, let’s get back to trotskyism. Though Voronski wasn’t a trotskyist, he was politically close. For example, he was one of the signers, with trotskyists like Preobrazhensky and Smirnov, in October of 1923, of the “Declaration of the 46”, where they denounced the economic crisis and the dangers implied in the NEP, as well as the growing bureaucratization of the party and the need to end the prohibition of internal fractions. But more important than this general political affiliation is the detailed coincidence of esthetic principles between both of them, which can be clearly seen in their criticism of Boris Pilniak. Not for nothing “Literature and revolution” was published first by Krasnaianov. Curiously enough, while other trotskyists wouldn’t have to abandon their ideas to side with Stalin (as he became an anti-kulak “ultra-industrializer”), and to carry out important tasks within the period unfolded with the cultural revolution, Voronski would only be able to return only if he went underself-seclusion, while his old enemies where now hold the top positions. A symptom that Trotsky’s cultural policy is in contradiction with his more general program, or that the former chief of the Red Army didn’t fully understood the contradictions the NEP had, which in the short term made it impossible not only for its continuity, but for the alliances that it implied. This text is part of the prologue to the edition of Literature and revolution, by Leon Trotsky, in print at this moment for RyR Editions. This edited version has been relieved of many quotes. Not much has been written about Voronski, although now there’s an attempt to refloat him. Most of the considerations in this text can be found in “Art as the Cognition of Life, and the Contemporary World (Concerning Our Literary Disagreements”, “On Proletarian Art and the Artistic Policy of Our Party”, “On Art”, “Literary Silhouttes. Boris Pilkniak”, “On Art”, “In Memory of Esenin” and “From the Past”, all of them available on the web page dedicated to the critic. There are also texts in German and all of his work in Russian, as well as bibliography about his life and work. Eatsman, Max: “Voronsky’s Fight for Truth”, in Artist in Uniform: A Study of Literature and Bureaucratism, Allen&Unwin, London, 1934. Voronsky, Aleksandr: “From the Past. (Record of a Speech Given at the Jubilee of Red Virgin Soil)”, in Art as the Cognition of the Life. SelectedWritings 1911-1936, MehringBooks, 1998. Slonim, Marc: Escritores y problemas de la literaturasoviética, 1917-1967, Alianza, Madrid, 1974, p. 129. Quoted by Chentalinski, Vitali: De los archivosliterariosdel KGB, Muchnik, Madrid, 1994, p. 49. López Cambronero, Marcelo: ¿Quién decide el destino de los hombres? Invitación a la lectura de Vida y destino, de Vasili Grossman, Encuentro, Madrid, 2008, p. 55. See Brown, Edward James: Russian Literature since the revolution, Harvard University Press, 1982, chapter 8, “The critic Voronsky and the Pereval Group”. McLean, Hugh: “Voronskij and VAPP”, inThe American Slavic and East European Review, October 1949, Volume VIII, nº 3, pp. 185-200. David-West, Alzo: “The Soviet Aesthetics of AleksandrVoronsky: a Brief Exposition”, in American Society for Aesthtics Graduate E-Journal, Spring/Summer, 2012. Plejanov’sinfluenceonVoronski and Trotsky is clearly visible (and openly recognized). The key texts of Plejanov’s esthetic are: “French Drama and French Painting of the Eighteenth Century from the Sociological Viewpoint” and “Art and social life”, both from Selected Philosophical Works. scenario the big constructionsites: Leonid Leonov, Sot (1930) or Marietta Shaginian, HydroCentral (1931). It’s no coincidence that Kataiev would also end up writing industrial novels, in his case Time, forward! about the construction of the steel plant in Magnitogorsk. See the commentary about Gladkov and thecomparison with Pilniak in Uribe-Echevarría, Juan: “Aspectos de la literaturarusa post-revolucionaria, Pilniak y Gladkov”, inAtenea, Universidad de Concepción, Concepción, 1924, n° 91, (sep.-oct. 1932), p. 103-114. Aleksandr Voronski, critica literaria, eduardo sartelli, Literatura y revolución, rosana lopez rodriguez, trotskismo. Marcar.